I cannot claim this photo as my own, but it represents a good day, a wonderful football season, and a university in Michigan. Not ever going to be the little brother in the Big 10 anymore. 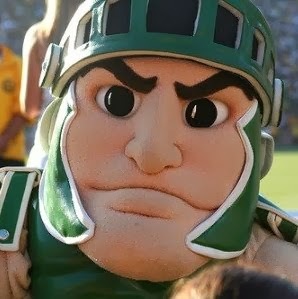 Congrats MSU on your Rose Bowl win. Each day this year I will post a photo which has some meaning for me. If you have a blog I hope you will take the challenge and post a photo a day, too. Thanks. I'm a bit partial to MSU Spartans. My money and my daughter went there for a year. She also still lives in the area.